My first project uses Better Get Better Pure Innocence (if it's not showing on the site, it is sold out, but will return soon). 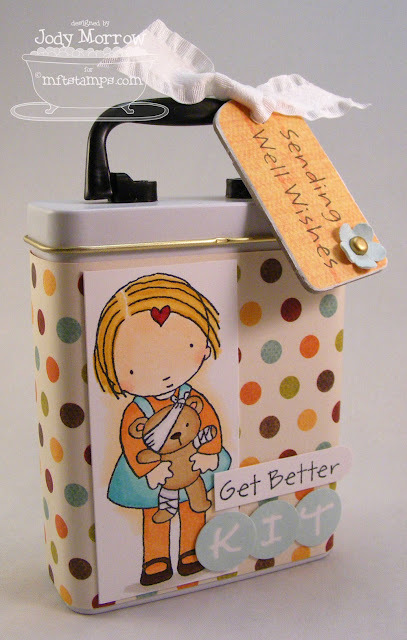 This is a Band Aid tin from Provocraft that I altered. 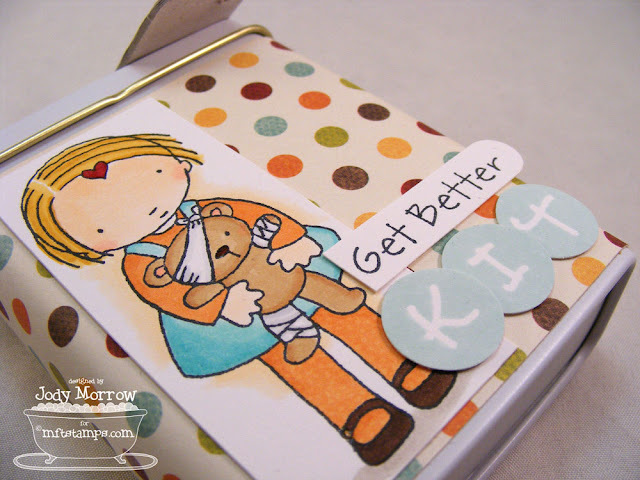 I used the sentiment in the set "Better Get Better" and and then used Alphadots to spell out K I T. This will be a nice treat for one of my girls when they get sick. I plan to put some "sick-friendly" treats in there and maybe (just maybe) it will be a little "fun" in the middle of feeling so yucky. These are just tooo cute!! Love your apple card...gorgeous! Great projects. The tin is too cute! I love the tin idea! So adorable! Oh so SUPER cute..... BOTH OF THEM!!!!! I LOVE the idea of leaving the lid blank, I NEVER get that right.... Grrr.... NOTE TO SELF!!!! Jody, both are super duper cute! Love the lace you added on your second project!! That's something I don't own, I don't think...hmmmm....better change that! LOL! Thanks for the inspiration! These are both totally adorable! I love the little tin! 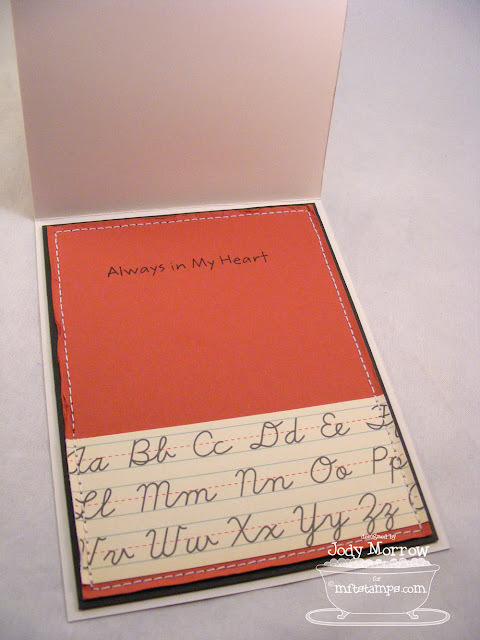 And the writing tablet paper with the trim is TOO cute on the card! OMG, I have a tummy ache and temperature or as KJ would say DIBBSIES. I love that tin. It is beyond cute and if I were one of your kiddies I'd be making myself sick just to get my hands on it.